Fort Wayne is a vibrant city where activities abound for families, take this opportunity to celebrate the arts and discover why Fort Wayne Philharmonic’s Concert Master Violetta Todorova, who’s been a part of many orchestras, says the Fort Wayne Philharmonic is second to none! Ever wonder how all of these moving parts and instruments stay in concert with one another – it’s all the work of the concertmaster who is always a violinist that sits to the left of the conductor and helps lead the orchestra. 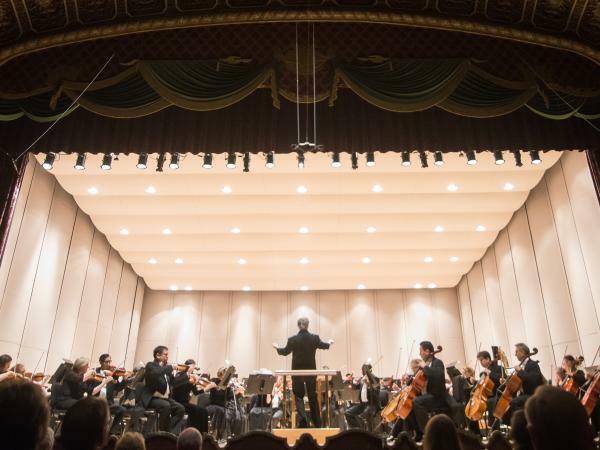 After you’ve enjoyed a Fort Wayne Philharmonic concert, fill your weekend getaway with some of Todorova’s favorite Sunday activities. In between savoring Fort Wayne’s unique restaurants, Todorova recommends enjoy Fort Wayne’s vast trail network including the Rivergreenway trail in downtown Fort Wayne running along our three rivers and discovering a new perspective of downtown Fort Wayne from the rivers on a canoe ride! No matter when you visit, take your time to experience Fort Wayne’s vibrant arts and entertainment experiences!